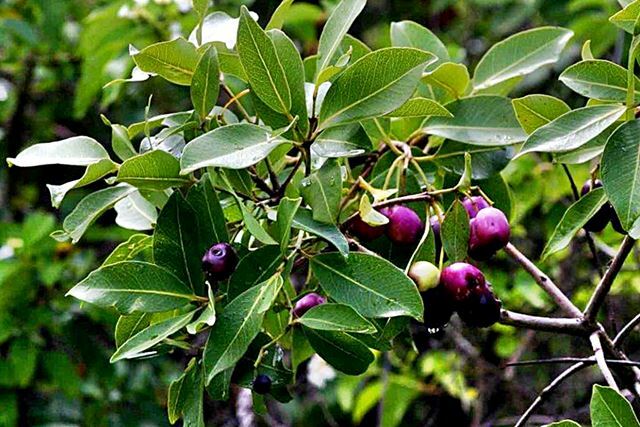 The Waterpear or Waterpeer tree (Syzygium guineensese) is a medium-sized to large evergreen tree with a smooth greyish-white single stem on young trees and beautiful purplish-red young leaves. 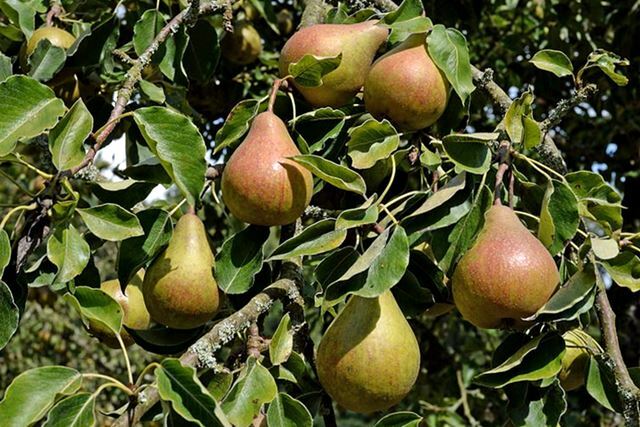 The common name Waterpear refers to its preference for growing along river banks and to its wood which supposedly looks like that of a pear. 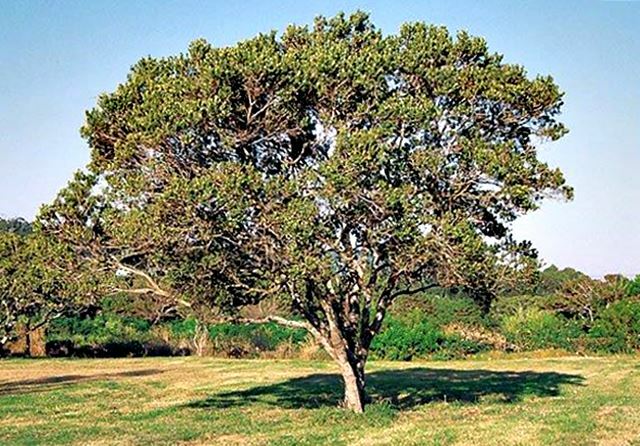 The tree grows up to 15-20cm in height and occurs in lowland forests in areas close to swamps and sometimes along river banks. They also prefer fresh, moist, well-drained soils with a high water table but will also grow in open woodlands. They are widespread from northern KwaZulu Natal through Swaziland, Mpumalanga, Limpopo to Mozambique and Zimbabwe. The bark is smooth and greyish-white to grey-brown in young trees, turning rough, flaky, creamy, light grey, dark brown or black in older trees. The leaves are 50-17mm long and 15-75mm wide, simple, opposite, elliptic to lanceolate with smooth margins which are sometime slightly wavy and rolled downwards. Older leaves are yellowish-green to glossy dark green on the upper surface and rather paler green and dull underneath. The Waterpear (Waterpeer) tree has creamy white flowers about 15mm in diameter with a sweet fragrance. They flower from August to December and fruit from December to April. The fruits are usually dark purple when mature with a single rounded seed and are edible.